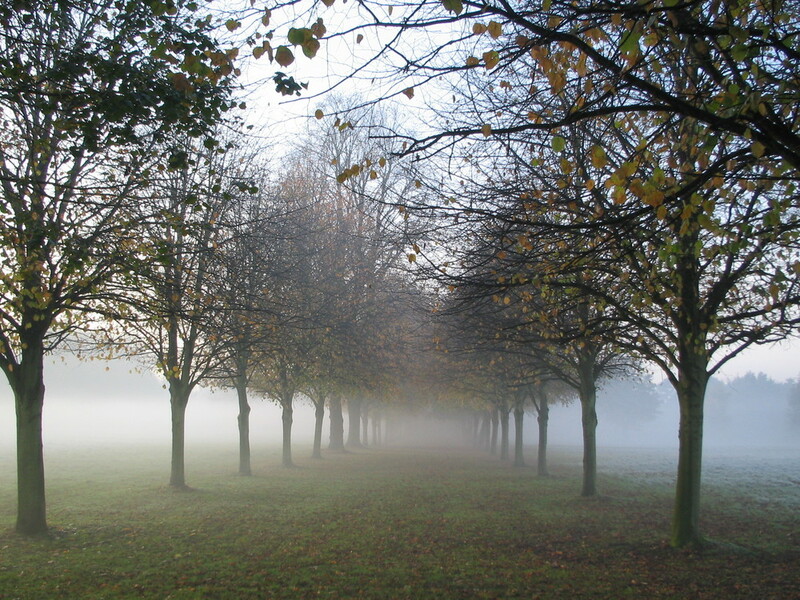 This week's photo was taken a couple of winters ago in Marbury Country Park. The clocks have gone back and it's got me fighting the winter blues a bit, and so I searched for a photo that reminded me of a fantastic winter day we spent out walking in the freezing mist. Traditional training wisdom has it that winter is the time for long, slow miles. Six hour rides on a Sunday, winter riding with lights on before and after work, endless long slow run miles all building a ‘base’ that you can then add speedwork to come the summer. The theory has developed from single sport athletes, and mainly runners. Most single sport athletes race in the summer, and races are generally short and fast. Simple logic says that you need your specific short and fast training near your short and fast races. This way, spring and summer are their ‘short, fast’ training sessions, and winter, by default, became time to build an aerobic base. However, I just don’t think that makes sense for athletes preparing for a summer Ironman or 70.3. When it comes down to it, your race pace for an ironman is not fast. In fact, it’s only pride that stops ourselves realising that IM race pace is actually slow. Specific training will, by it’s very nature, suggest that the training in the 12 weeks leading up to our summer IM will be long and slow (or, at best, long and steady – but more on that another week.) Yet still, conventional training wisdom suggests that we should spend our winters logging long, slow miles before sharpening up with shorter, faster sessions in the summer. The classic base-build-peak programmes are all designed this way – but who’s got time (or the inclination) to log an 18 hour training week in February, with short days and foul weather, on top of a 40-60 hour working week? I choose to follow a different plan. During the winter, I develop strength and speed – Ironman specific strength and speed. Hour long sessions during the week, at specific power, pace or heart rate targets that get the most improvement for the time available. I just don’t have enough spare time that I can afford to waste any of my training time. At the weekends, I’ll find the time for a longer session – but very rarely longer than three hours, and that will probably only be once a month. I usually take a day off at the weekend as I’m not desperate to fit in a long ride and a long run each week. A typical training week of 7-9 hours is standard, which gives me plenty of time to see family and friends. Come the springtime, when the weather gets better and the nights get lighter, I’ll start my 12 week Ironman build up and do progressively longer rides and runs. However, because I’ve spent the winter getting fast, I find I carry that speed into my long rides and runs. After a winter of focus, my long Ironman specific sessions are a lot less slow than they would have been had I spent the winter riding at low intensities. I also manage to avoid the training burnout that seems to affect so many people who get to six weeks before their Ironman and are totally fed up after long bike rides all winter. Training this way also has the nice side effect that you can turn up to early summer sprint and Olympic races in good shape, rather than finding that you have no speed – something that almost seems accepted by most triathletes as a side effect of having decided to ‘go long’ in your racing that summer! How are you going to choose to spend your time this winter?